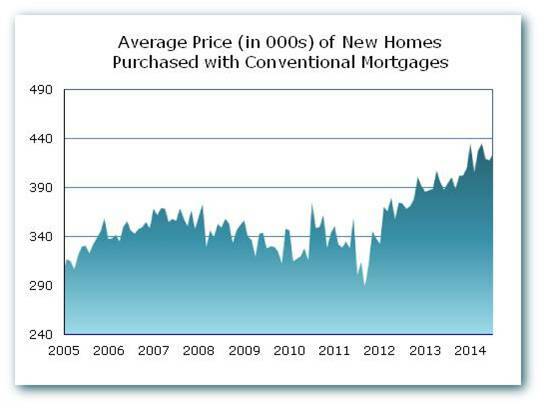 On August 28, the Federal Housing Finance Agency (FHFA) reported that, overall, mortgage interest rates were flat in July. 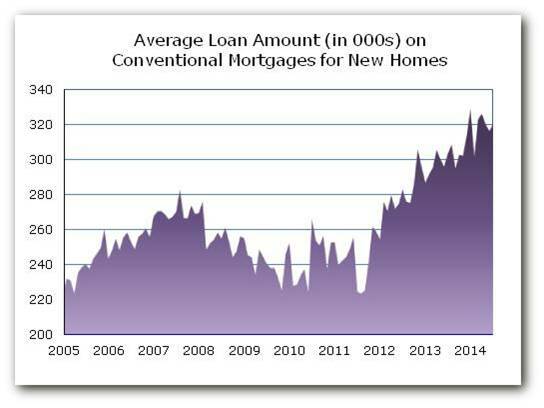 To a large extent, the same was true for the subset of loans used to purchase new homes. 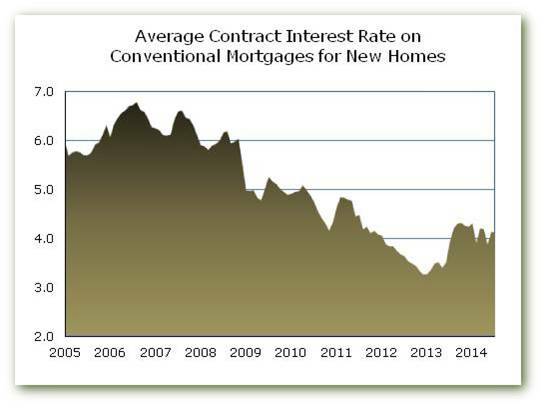 Between June and July, the average contract interest rate on conventional mortgages for new homes ticked down, but only from 4.14 to 4.12. This flat trajectory follows something of a roller coaster ride, with the rate on new home loans dipping under 4 percent twice in 2014 before bouncing back twice earlier in the year. ‹ Are Some Consumers Worried about the Future?